July 2012 – Iggy Azalea Flames! Iggy Azalea‘s Glory EP is due out at some point today, and the Sydney, Australia-born rapstress spoke to Interview to promote her debut release. It’s a very candid one-on-one that finds the femcee discussing the trials, tribulations and label drama she’s encountered during her short time in the music business. Iggy Azalea will hit the Catwalk in New York City! 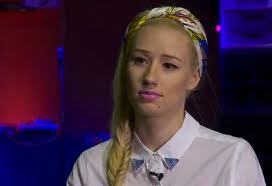 Iggy Azalea is the queen of making me feel uncomfortable. She’s also been really busy, premiering both a new song and video in the days leading up to her Glory EP, out this weekend. Executive Produced By Chordz 3d For D.R.U.G.S. Co-Executive Produced By @IggyAzalea and Stix cover art by R E E mix tape brought to @datpiff by @DJFLIZZYFLAME. 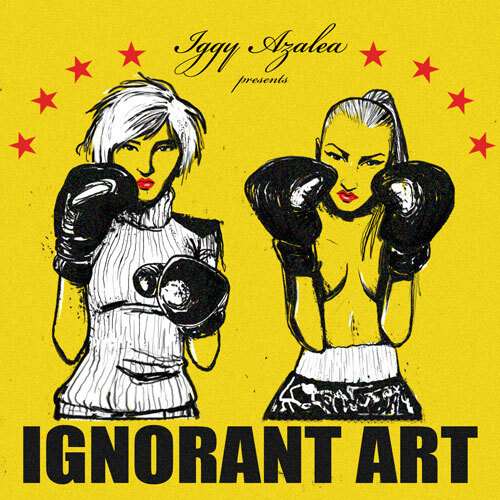 ENJOY her first official mixtape..
Steve Aoki previously turned the sweet and lovely Wynter Gordon into an ice-cold killing machine in his “Ladi Dadi” video, so we could only imagine what he’d do with the already-feisty Iggy Azalea.. LISTEN – Iggy Azalea “MDM” Featuring T.I. and B.O.B. New Song: Iggy Azalea, ‘M.D.M. (Million Dollar Misfits)’ Featuring T.I. & B.o.B..
Read more about Iggy Azalea TI and B.O.B.